One of the most important parts of our job is to educate our patients about the appliances we use during orthodontic treatment. Knowing how to care for braces is so critical because it has a direct effect on your treatment time and results. That’s why we always ask you whether you’ve been practicing good habits such as brushing your teeth and staying away from certain foods. From time to time, you might experience a minor problem with your braces that causes discomfort. 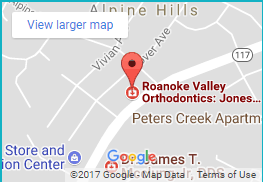 Usually, you’ll be able to deal with these orthodontic “emergencies” on your own with things you have around your house or supplies we will give you. In case you do have a problem, we’ve rounded up some of the most common hiccups our patients have with their braces, and the solutions that will ease discomfort, prevent injury and keep your mouth healthy! This is one of the most frequent problems patients have. Bands and brackets often become loose because of something you’ve chewed or eaten. Your bands or brackets might also be loose as a result of changes in your bite that happen between adjustments. If the bracket or band is still attached to the wire, just leave it in place and put orthodontic wax on it if it’s irritating your mouth. If a piece comes out completely, hang onto it and bring it with you to your next appointment. Like loose brackets and bands, loose appliances are usually caused by eating or chewing something hard or sticky. If the appliance is sticking or poking, place wax on the part that’s bothering you. If a flexible wire is loose, try first to move it back in place with clean tweezers. If that doesn’t work, you can clip the wire with fingernail clippers behind the last tooth to which it is securely fastened. If you are unable to clip it and it is causing discomfort, a rolled up piece of wax placed on it can usually alleviate the poking. If a small ligature wire (which is sometimes used to tie the main archwire into a bracket) is poking you, try to push the it down with a spoon or eraser. If you are unable to tuck it back in, place wax on it. You will likely experience soreness from time to time as the teeth slowly move into place. This is actually a good thing and means the teeth are moving! Soreness or tenderness is especially common after an adjustment, and Tylenol or ibuprofen are usually enough to alleviate discomfort. If one tooth suddenly becomes very painful, call us immediately. If a bracket, hook, or wire has been poking the inside of your cheek or lip, it may cause an ulcer. Again, wax is the best thing to put around the poking bracket, hook or wire. To help heal the ulcer faster, use warm salt water rinses two to three times per day (one teaspoon of salt in an 8-ounce glass of water). You can also pick up some topical numbing gel such as Orajel at the grocery store or pharmacy. You can apply this directly to the ulcer to help it feel better. This is generally not uncomfortable. Let us know at your next appointment, and we will replace it at your adjustment. You experience a blow to the teeth, face or mouth, especially if teeth feel loose or are knocked out. You have sudden, severe pain or discomfort. 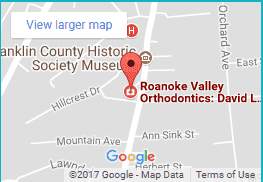 You encounter any orthodontic problem you can’t handle on your own. Even if something comes up that you can handle at home, remember to call us to schedule an appointment. If you have an appointment coming up, give us a quick call to make sure we allow enough time to address it. 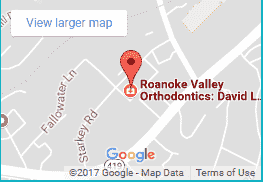 True orthodontic emergencies are rare, but we want your treatment to be as comfortable and effective as possible. So care for your teeth and appliances as instructed, keep plenty of orthodontic supplies on hand and, as always, call us anytime we can be of help!